The FEBS Network is a new initiative from FEBS to support molecular and cellular life scientists, drawing on recent developments in digital technologies for online communities. The FEBS Network aims to provide a valuable online international forum for scientists working in the molecular and cellular life sciences, enabling them to share advice, news and insights, and connect and collaborate – with the ultimate goal of helping to advance progress in these research areas. The Network currently presents most content from its appointed experts and writers in four themed 'channels': Early-Career Scientist, Educator, Viewpoints and Research. In addition, a few 'rooms' host content from room contributors for specific FEBS community groups, for delegates attending certain FEBS events, or for scientists interested in particular research and other subtopics. Other scientists join the FEBS Network as 'Users' to engage with contributions and others in the Network community and to create a profile page where they can present their interests and post content. Such content will also be featured on the homepage in 'Latest from all the community'. It's free to join the FEBS Network, and Users also benefit from free access to The FEBS Journal and FEBS Letters. You do not need to be a member of a FEBS Constituent Society to join the Network. 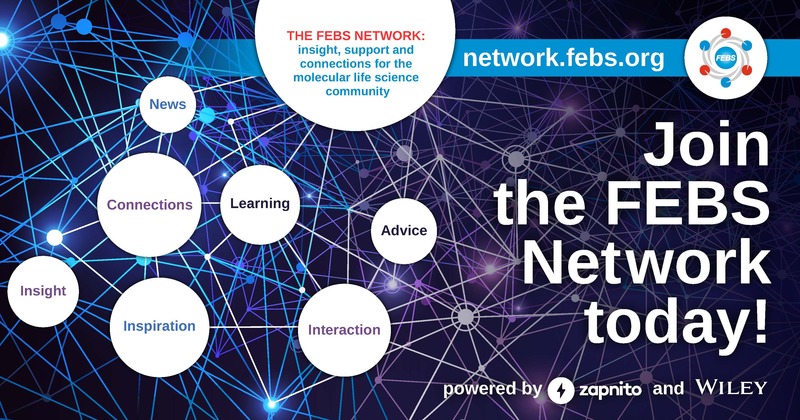 The FEBS Network has developed from a collaboration between FEBS and its journal publisher Wiley, and is hosted using software from Zapnito, who specialize in creating expert-led networks. A FEBS 'Network Working Group' of senior scientists is overseeing the aims and strategy of the FEBS Network. Scientists connected with various FEBS activities are also working pro bono on areas of the site, and there are contributions from some editors of FEBS publications as well. For more on this new initiative from FEBS, see the 'Welcome to the FEBS Network' post. To join the FEBS Network, register here. For Network tips, explore the 'About the FEBS Network' channel.